PureOne Impressions: Love is in the air! With just one week until Valentine's Day, love is in the air. 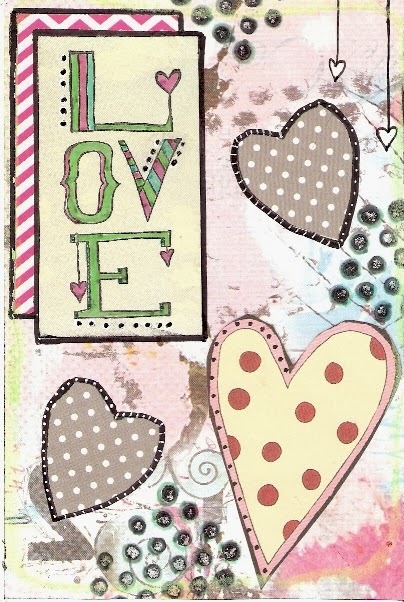 I decided to send some love by creating this 4x6 postcard featuring the Stacked Love rubber stamp designed by Roc Nicholas. 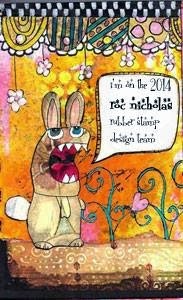 I'd like to share the love, so leave a comment below on my blog no later than February 10, 2014, and you'll automatically be entered to win this postcard. The winner will be selected via a random number draw on February 11, 2014. Be sure I can contact you via blog, email, or facebook. Good luck! "Love" your postcard. I've been trying my had at some and a few turned out quite cute. Thanks for this giveaway. Just brilliant! Especially love the background! Thank you for the chance to win!! Happy heart day! Thanks for your giveaway, I would like to enter my name to have a chance to win ! I really love the soft colours of this postcard. beautiful postcard cathy! love how you incorporated my rubber stamp into it. it's looks awesome. The Documented Life Project...week 6!